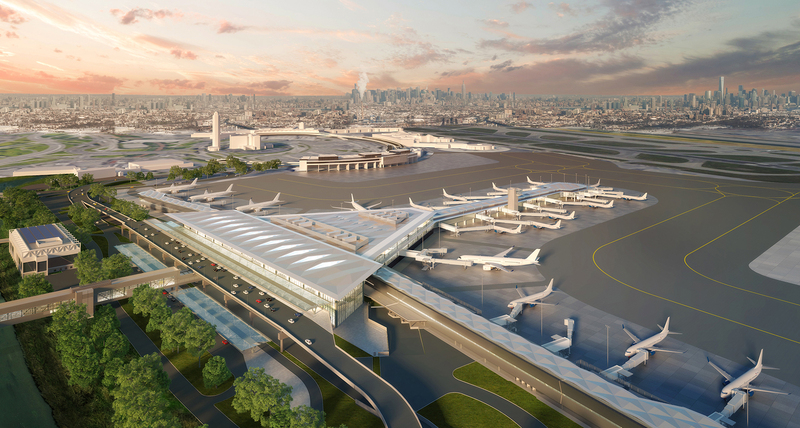 The Port Authority of New York and New Jersey (PANYNJ) has awarded the EWR Terminal A Redevelopment Program Bridges N61, N62, N63, At-Grade Roadways and Appurtenances contract to Conti Enterprises, Inc. The $118 million project will commence in September. The work under this contract consists generally of furnishing and installing underground electrical and communications duct banks, water and sewer lines, overhead signs, roadways and intelligent transportation system, canopy structures and landscaping, and construction of Bridges N61, N62 and N63, and related work at Earhart Drive and Parking Lot P3 and the vicinities thereof at Newark Liberty International Airport, New Jersey. This win builds on Conti’s ongoing and recently completed infrastructure construction for the PANYNJ. This project continues Conti’s long history with the PANYNJ completing more than 20 projects over the past 15 years. Construction will begin this month. We are known for our platform of outstanding project execution and our effort to exceed our clients’ expectations. Our track record of delivering high impact construction projects to our clients and our extraordinary commitment to our core values, employees, and communities where we work has been the foundation of our success and longevity. Conti Enterprises Inc. is a member of The Conti Group, a creator, builder, and operator of businesses. Founded in 1906 in New Jersey, the company is well known for its entrepreneurial focus, client responsiveness and top caliber people, earning dozens of awards for project excellence and safety performance, as well as Best Place to Work designations. See www.contienterprises.com.